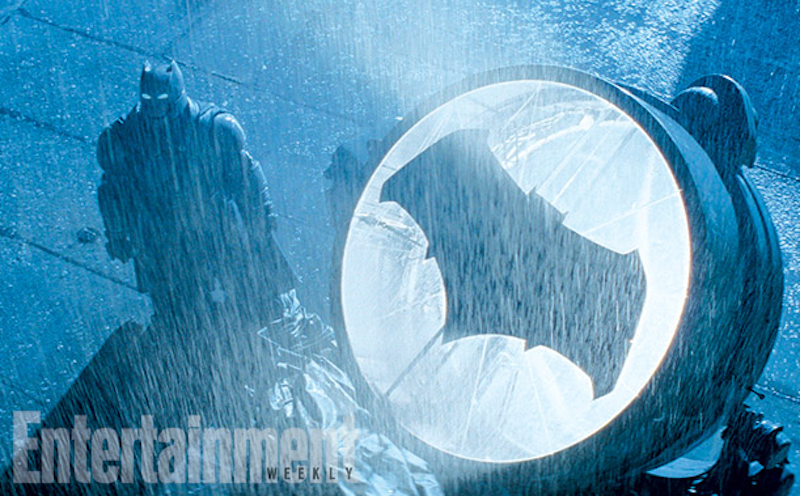 We’ve seen promo images of Batman and Wonder Woman from the forthcoming superhero showdown Batman v. Superman: Dawn of Justice. Now, EW (via Comicbook.com) has revealed images of Ben Affleck and Gal Gadot out of costume and in character as their alter egos. Though set photos of Affleck as Wayne appeared online weeks ago, this is the first time we’ve seen Gadot as Diane Prince. That’s the pair of them above, looking classy at what’s sure to be some Wayne Enterprises charity event. 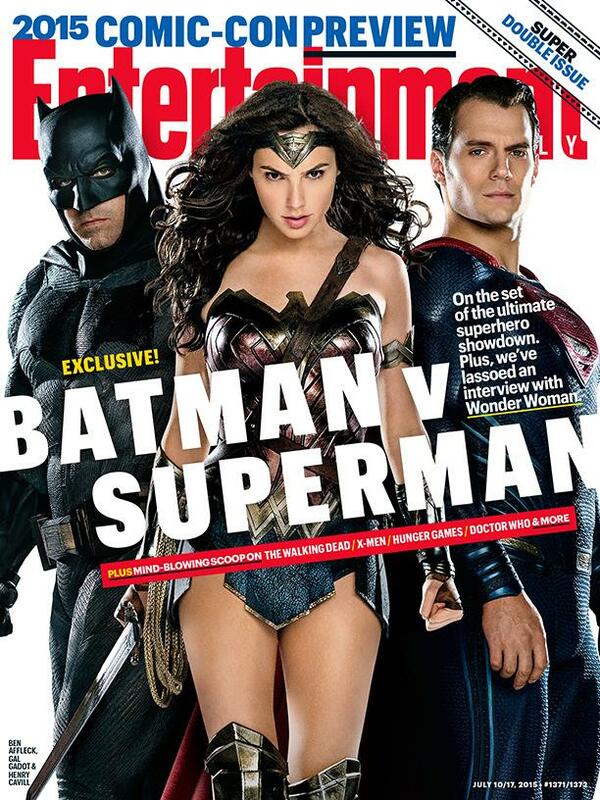 The cover for the issues features a fresh image of Bats, Henry Cavill as Superman, and Wonder Woman. 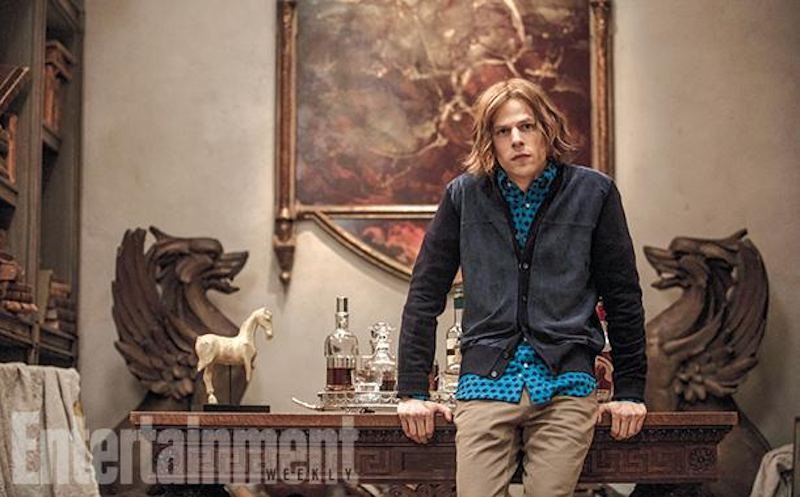 The article came with a handful of other images, including one of Jesse Eisenberg as Lex Luthor, either before he loses his hair or wearing a less-than-flattering wig. 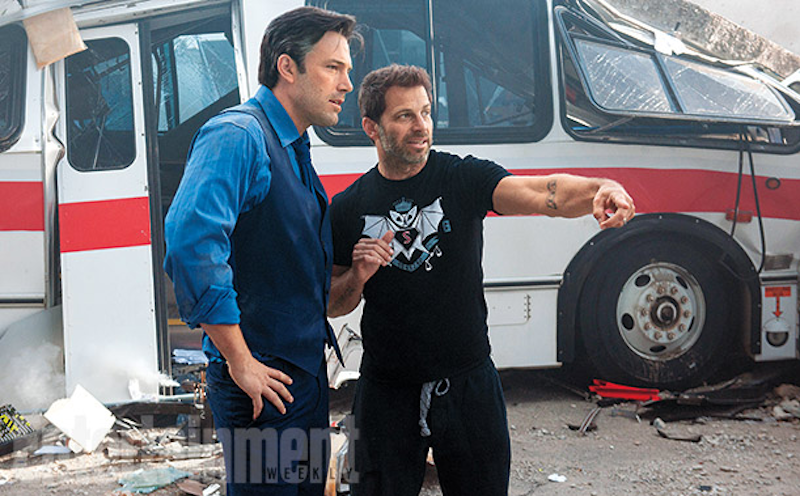 There’s also a pic of Affleck on set with director Zack Snyder, a closeup of Batman and Superman facing off, and the armored-up Batman next to the new Bat-Signal. 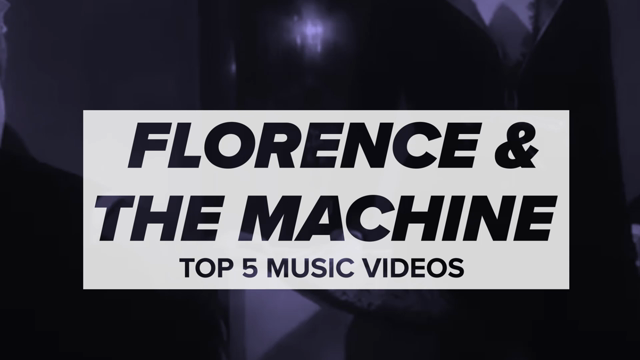 Check those out below. 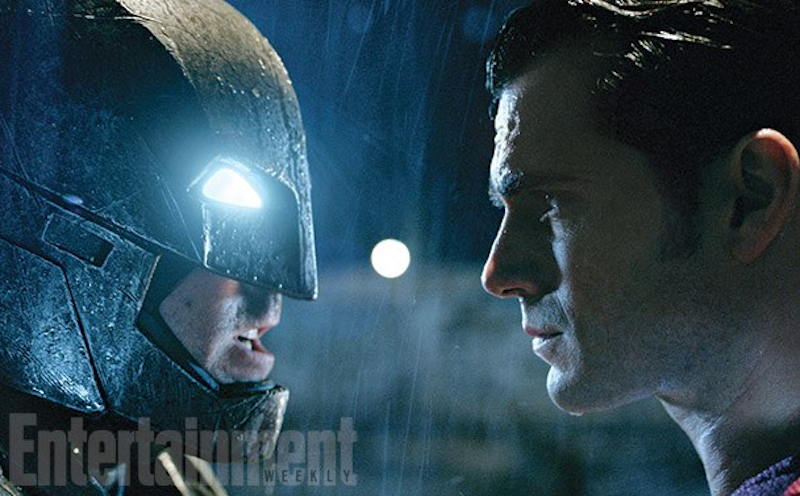 Dawn of Justice hits theaters on March 26th, 2016.